During a conference on border-related issues Wednesday, U.S. and Mexican officials lauded the growing trade relationship between the two countries. But they added that out-of-touch lawmakers are hindering the economic relationship. EL PASO — Mexico’s economy is the fastest growing among the North American Free Trade Agreement nations, and trade between it and the U.S. continues to grow each year. But that growth is limited because of outdated infrastructure and policies crafted by out-of-touch leaders in Washington and Mexico City, according to several elected officials and business leaders who spoke Wednesday during a conference at the University of Texas at El Paso. Speakers at the conference, co-sponsored by UTEP and the Council of the Americas, discussed improving management of the U.S.-Mexico border and economic integration. Mexico’s gross domestic product in 2012 grew 3.9 percent, compared with growth rates of 1.7 percent and 2.2 percent for Canada and the United States, respectively, according to the World Bank. Last year, Mexico was Texas’ largest trade partner and the United States' third-largest overall, behind Canada and China. 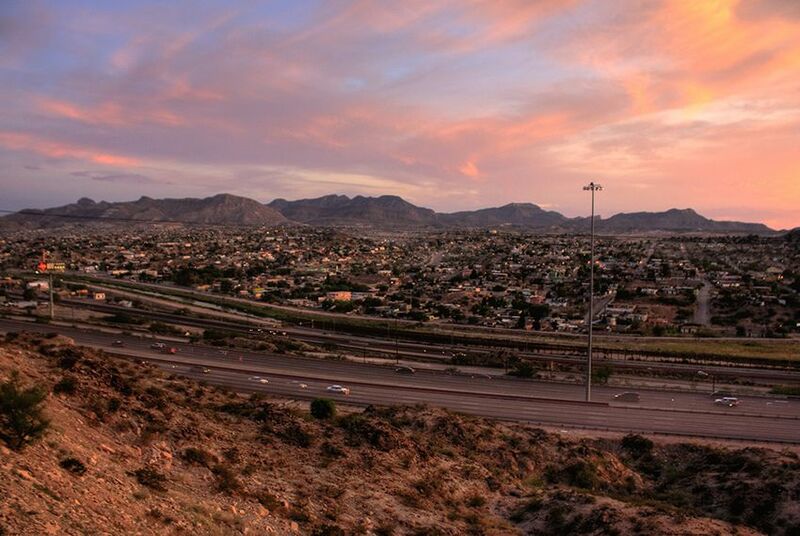 Through May, trade that passed through the El Paso Customs District in 2013 totaled about $36.3 billion, and trade between the two countries was about $208.3 billion, an increase of about 1.2 percent compared with the same timeframe in 2012, according to U.S. census data analyzed by WorldCity, which uses U.S. census data to track trade patterns. The top commodities traded included oil, computer and auto parts. Mexico’s Ambassador to the United States, Eduardo Medina Mora, said that figure was surprising because of what he called a 21st century trade relationship based on 20th century policies and a “19th century infrastructure.” Six million U.S. jobs depend on how much Mexico buys from the U.S. but the most important obstacle is the border, he added. “I am surprised that 80 percent has moved through the land border with this infrastructure,” he said at the conference, which was co-sponsored by UTEP and the Council of the Americas. For each minute of delay on the country’s five busiest international bridges, about $116 million in economic output is lost, according to a U.S. Department of Commerce study. The department added that by 2017, those losses could surpass $12 billion if no action is taken. Local leaders touted the recent federal approval of a pilot program that creates public-private partnerships with U.S. Customs and Border Protection to increase staffing levels. The program is part of H.R. 1108, the Cross Border Trade Enhancement Act of 2013, a bipartisan effort filed in March. It shows that local governments are ready to take the lead when the federal government skirts its responsibilities, leaders at the conference said. U.S. Rep. Beto O’Rourke, D-El Paso, said that the focus on border security as it pertains to immigration reform is the reason trade and its economic effects are second- and third-tier issues to lawmakers who don’t represent border districts. Javier Treviño, a Mexican congressman from the state of Nuevo Leon, which borders Texas' Webb County, said those concerns aren’t confined to his northern neighbor. “Mexico City and Washington are too far away from the border,” he said. “There is a lot of misunderstanding, lack of information and people are not very aware of what’s happening in the border region,” he said. During a brief news briefing, the U.S. Ambassador to Mexico, Earl Anthony Wayne, said that both countries are addressing the contentious issue of a lingering water shortage that Texas officials say costs their state millions of dollars. Under the Treaty of Feb. 3, 1944 Mexico is supposed to deliver water to the U.S. from six tributaries that feed into the Rio Grande. In exchange, the U.S. delivers water from the Colorado River to Mexico. The Mexican government is required to release 1,750,000 acre-feet of water every five years. U.S. officials say that should come in the form an average annual delivery of about 350,000 acre-feet. Texas officials said last spring that Mexico is behind about 500,000 acre-feet. “It’s a challenging situation with the shortage of water across the region, and we’re doing our best to work to find solutions that are consistent with the 1944 treaty,” Wayne said. The ambassador did not rule out adjusting the treaty so that water deliveries would be based on availability during drought conditions and other variables instead of the current mandatory levels. He added, however, that the focus is on the current debt. “Right now the discussion is taking place within the confines of the treaty, and we’re trying to find both short-term solutions and also the longer term as how to manage the needs basin-wide of users on both sides of the treaty,” he said.